The Krugerrands that NUcapital offer's are brand new coins, in a mint condition. Gold Krugerrands were the first gold bullion coins produced in exactly 1-ounce size coins. Introduced in 1967 and struck in the tens of millions since then. There is a large floating supply of coins available today, which helps to keep its premium reasonable in all markets. The Gold Krugerrand has a 22 Karat purity giving it a more durable surface. 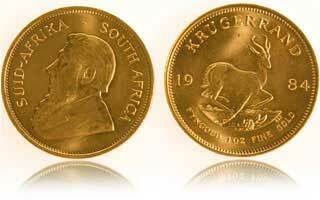 The Gold Krugerrand has no official face value - they are traded based on the world market price of gold. The Gold Krugerrand has a high level of recognition in Asia and Europe. The Gold Krugerrand is extremely liquid and easy to trade internationally. 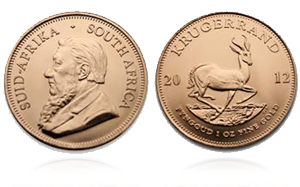 The Gold Krugerrand has its '1 OZ FINE GOLD' content stamped in English directly on the coin.